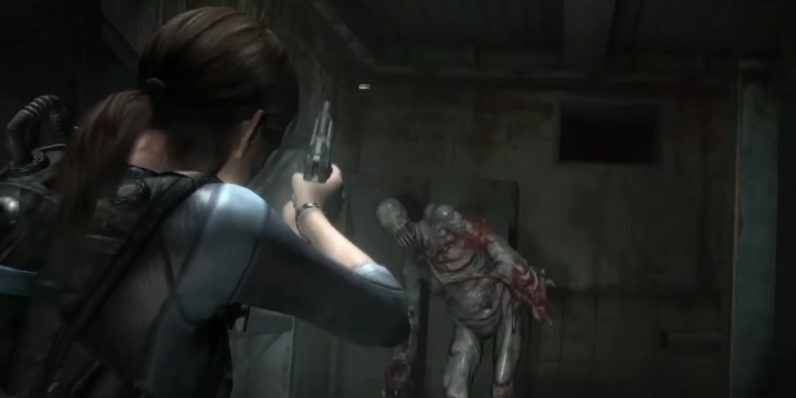 After playing the the PS4 port of the Nintendo 3DS classic, “Resident Evil: Revelations” — available on Xbox One and PS4 today — I have one question: If you’re going to release an old game for a new console (and charge for it), why wouldn’t you make some effort to make it look better than this does? Considering the game is five years old and has one HD re-release already, you’d think this new version would have something fresh to entice new buyers. I assumed, at the very least, it’d get a new coat of high definition paint. But it didn’t. You wouldn’t believe a game this ugly was in any way made for current-gen consoles just by looking at it. The differences between the PS3 and PS4 versions, with the exception of a higher framerate for the recent release, are frankly negligible. The character models are alright, but the textures would look awful on a PS2 game. I’d be the first to tell you that graphics aren’t everything, but in the case of re releases for new console generations, I fail to see what a game could otherwise bring to the table. In the case of this specific game, the only other new feature is a multiplayer map. I don’t think much of the re-re-release of “Skyrim”, but at least that game was given a graphical upgrade when it was released on PS4. “Revelations” was originally released for the Nintendo 3DS in 2012, so it’s perhaps understandable that remastering it to fit an HD TV is the graphical equivalent of making a silk purse out of a dead sow’s ear. I remember having the same issue with PSP game “Final Fantasy Type-0” when it was re released in HD form. And yes, “Revelations” looks stunning if you compare it to that original handheld release, but if this were released for PS4 as a new game, it’d be laughed right off the shelves.